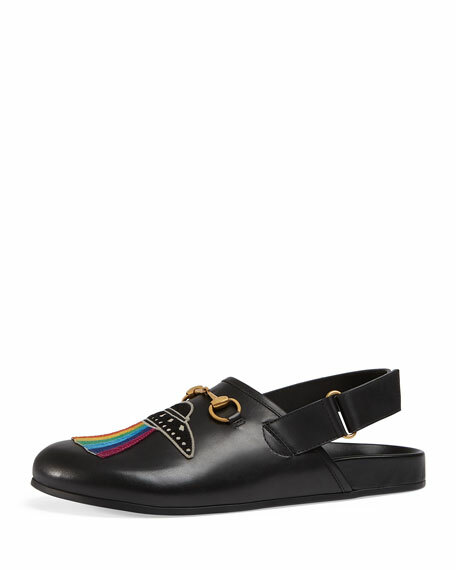 An evolution of the Horsebit slipper, designed with a wide rounded toe and grip strap closure. Embellished with embroideries representing two important themes of the Pre-Fall 2017 collection. On the right shoe is an embroidered dragon motif and on the left shoe is a UFO appliqué. Gucci slide in black leather. Dragon embroidery on right shoe. 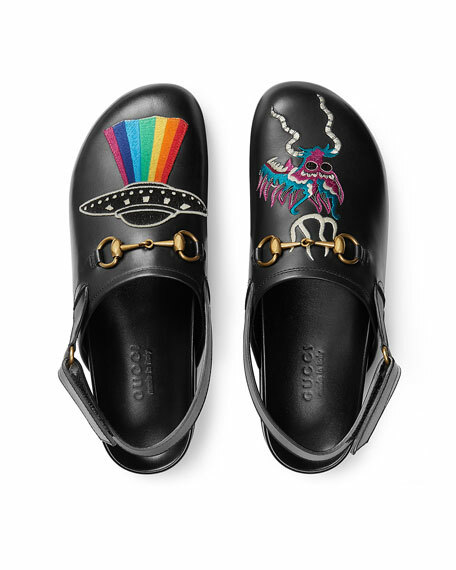 Embroidered UFO appliqué on left shoe. "River" is made in Italy. For in-store inquiries, use sku #2216583.